Today, the Federal Reserve Bank of New York is hosting the spring meeting of its Economic Advisory Panel (EAP). As has become the custom at this meeting, the New York Fed’s Research staff is presenting its forecast for U.S. growth, inflation, and the unemployment rate. Following the presentation, members of the EAP, which consists of leading economists in academia and the private sector, are asked to critique the staff forecast. Such feedback helps the staff evaluate the assumptions and reasoning underlying its forecast as well as the forecast’s key risks. The feedback is also an important part of the forecasting process because it informs the staff’s discussions with New York Fed President William Dudley about economic conditions. In that same spirit, we are sharing a short summary of the staff forecast in this post; for more detail, see the New York Fed Staff Outlook Presentation from the EAP meeting on our website. Traditional GDP forecasts potentially present an overly optimistic (or pessimistic) view of the state of the economy: by focusing on the point estimate for the conditional mean of growth, such forecasts ignore risks around the central forecast. Yet, policymakers around the world increasingly focus on risks to the central forecast in policy debates. For example, in the United States the Federal Open Market Committee (FOMC) commonly discusses the balance of risks in the economy, with the relative prominence of this discussion fluctuating with the state of the economy. In a recent paper, we propose a method for constructing the full conditional distribution of GDP projected growth as a function of current economic and financial conditions. This blog post reviews some of the findings from that paper and the implications for macroeconomic theory and for policymakers. This post presents a quarterly update of the economic forecast generated by the Federal Reserve Bank of New York’s dynamic stochastic general equilibrium (DSGE) model. We describe our forecast very briefly and highlight its change since November 2017. This post presents our quarterly update of the economic forecast generated by the Federal Reserve Bank of New York’s dynamic stochastic general equilibrium (DSGE) model. We describe very briefly our forecast and its change since August 2017. 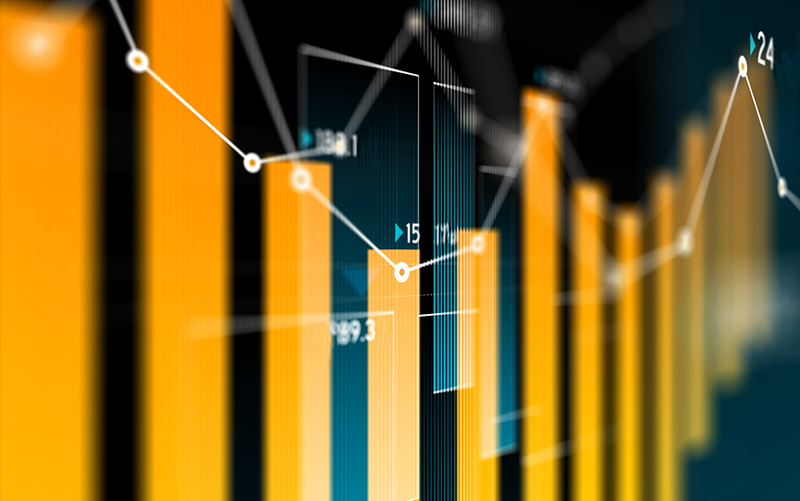 This post presents our quarterly update of the economic forecasts generated by the Federal Reserve Bank of New York’s dynamic stochastic general equilibrium (DSGE) model. We describe very briefly our forecast and its change since May 2017. Hey, Economist! How Do You Forecast the Present? New York Fed macroeconomists have been sharing their “nowcast” of GDP growth on the Bank’s public website since April 2016. Now, they’ve launched an interactive version of the Nowcasting Report, which updates the point forecast each week, but also helps users better visualize the impact of the flow of incoming data on the estimate produced by the model. Tables offer more detail on the data series informing the estimate. The interactive version also reports the staff nowcast back to January 2016, a longer nowcast history than has previously been available. Cross-media editor Anna Snider spoke to Domenico Giannone, Argia Sbordone, and Andrea Tambalotti—economists who developed the model underlying the report and produce estimates weekly with the help of research analysts Brandyn Bok and Daniele Caratelli—about nowcasting and its role in the policymaking process. A little more than a year ago, in this post, we announced DSGE.jl—a package for working with dynamic stochastic general equilibrium (DSGE) models using Julia, the open-source computing language. At that time, DSGE.jl contained only the code required to specify, solve, and estimate such models using Bayesian methods. Now, we have extended the package to provide the additional code needed to produce economic forecasts, counterfactual simulations, and inference on unobservable variables, such as the natural rate of interest or the output gap. The old, pre-Julia version of the code, which was written in MATLAB and is posted here on Github, a public repository hosting service, also performed some of these functions, but not quite as fast. Today, the Federal Reserve Bank of New York (FRBNY) is hosting the spring meeting of its Economic Advisory Panel (EAP). As has become the custom at this meeting, the FRBNY staff is presenting its forecast for U.S. real GDP growth, the unemployment rate, and inflation. Following the presentation, members of the EAP, which consists of leading economists in academia and the private sector, are asked to critique the staff forecast. Such feedback helps the staff evaluate the assumptions and reasoning underlying its forecast as well as the forecast’s key risks. The feedback is also an important part of the forecasting process because it informs the staff’s discussions with New York Fed President William Dudley about economic conditions. In that same spirit, we are sharing a summary of the staff forecast in this post. For more detail, see the FRBNY Staff Outlook Presentation from the EAP meeting on our website.